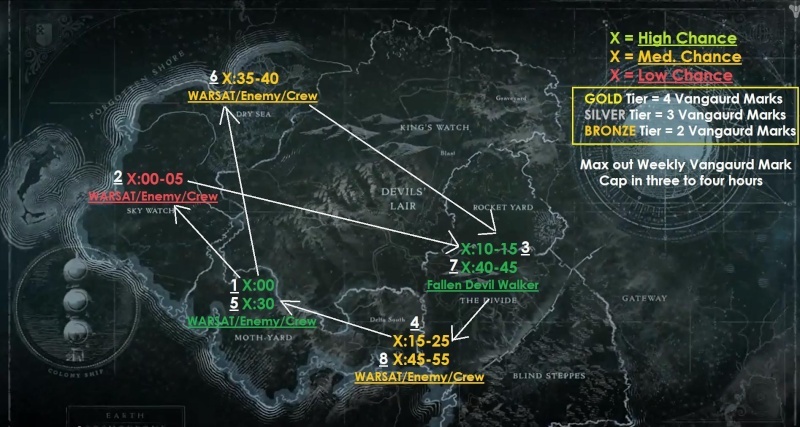 • There are two spawns on earth that you can pretty much set your watch to, and thats the Mothyards (Warsat/enemy/crew) X:00 and X:30 and the Divide (walker) X:10-15 X:40-45. You want to get to around X:10 or so if you can, the walker unusually doesn't show up until X:15 but sometimes hes early. 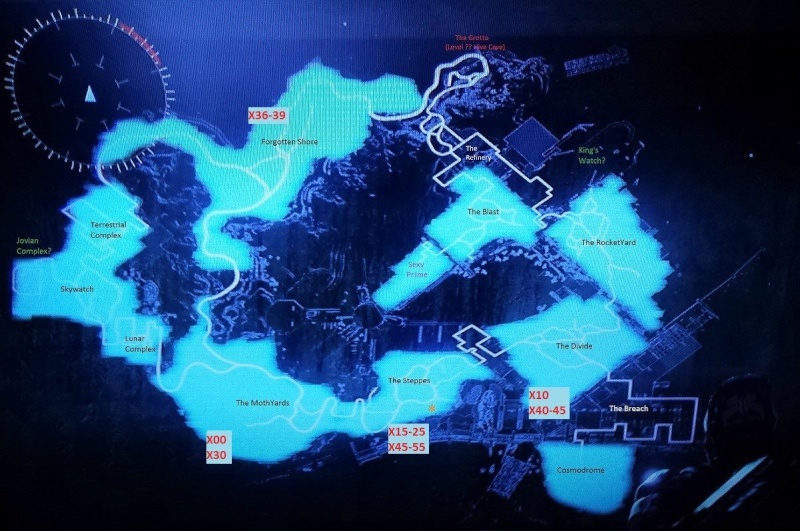 Here you want to hang around the steppes, sometimes an event will show up sometimes it wont, its really hit or miss if no event shows up by X:27 head over to the mothyards. As before this one is sometimes a a minute or two late/early but it always shows up. when are done with this you to need to head to the forgotten coast as quickly as you can. This one usually spawns right at :X36 its been late once or twice but if its not out before X:39 its not coming and you need to hurry on to the divide either by orbiting and coming back or really fast on sparrow. This is the last one, ive seen this one only a couple of times it rarely spawns, but i have seen it.